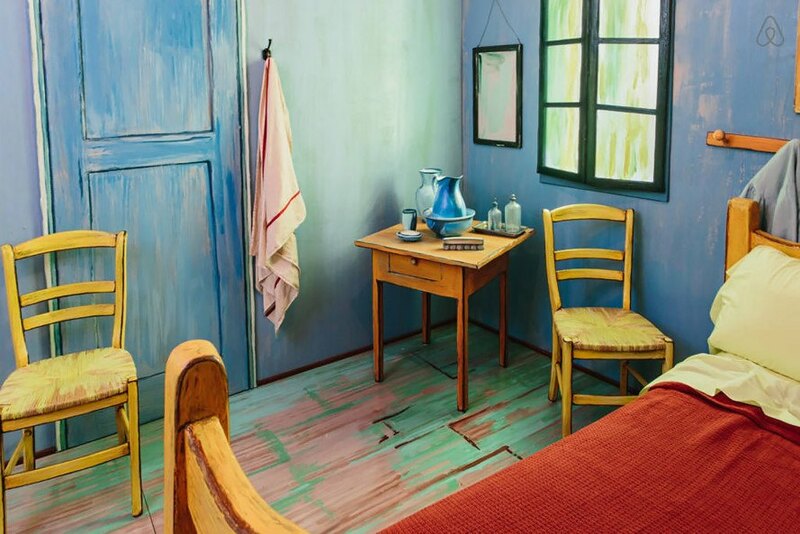 Have you ever wondered what it would be like to step into the world of a famous painting? Well, the Art Institute of Chicago is offering the closest opportunity you'll ever have just in time for Valentine's Day. 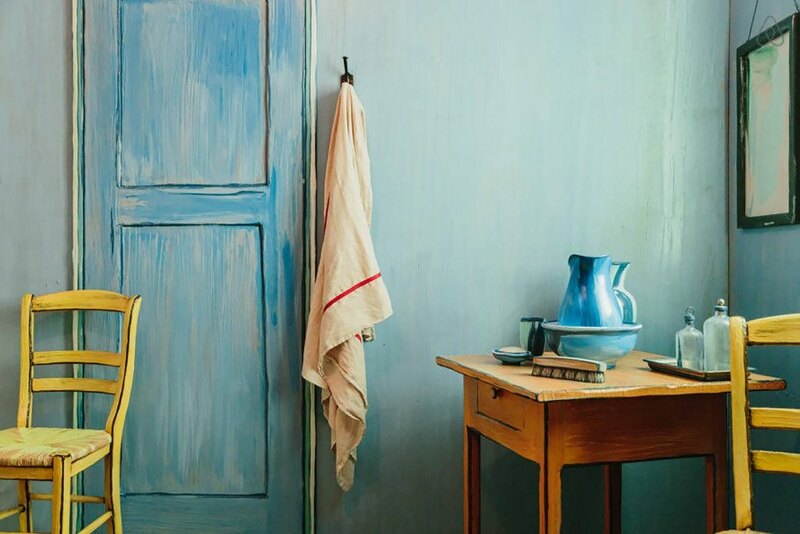 Adding even more color, dimension and perspective to their upcoming exhibition Van Gogh's Bedrooms, AIC used digital technology to create a life-sized replica of Vincent van Gogh's famous painting The Bedroom, a beloved depiction of a room in the Post-Impressionist's Yellow House in Arles, Bouches-du-Rhône, France. And for the next three months, art aficionados will be able to rent the room for just $10 a night through Airbnb. The exhibition marks the first time all three versions of van Gogh’s The Bedroom will be on display simultaneously in North America. The first he painted in 1888, shortly after moving into Yellow House. 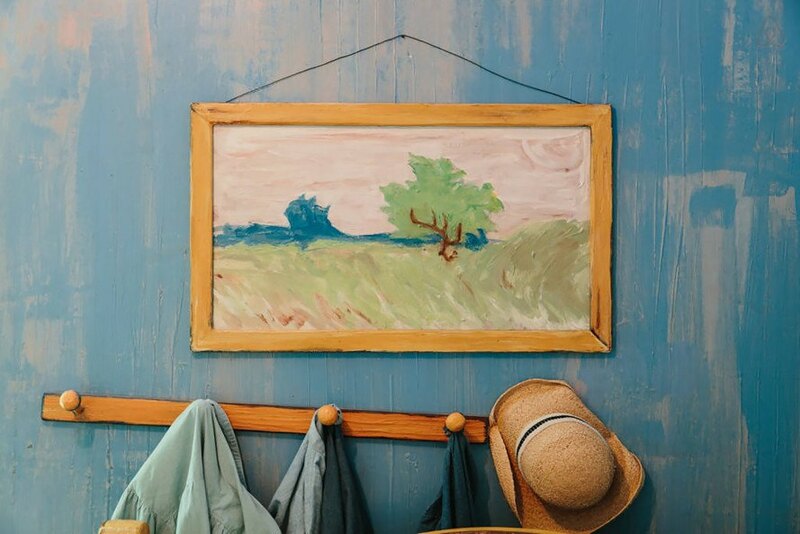 Part of Amsterdam’s Van Gogh Museum collection, the first painting suffered water damage, so he painted a replica while at an asylum in Saint-Rémy in 1889. And then he painted a smaller third version for his mother and sister. This is now on display at the Musée d’Orsay in Paris. Located outside of the museum’s campus in Chicago’s River North neighborhood, the room, which will accommodate two guests, is likely to rent out soon. The exhibition runs through May 10, 2016. This is the first time all three versions of the famous painting will be on display at the same time in North America. To commemorate the special event, AIC designed a life-size replica of the painting that will be available for rent. The Airbnb room will cost just $10 a night--basically just enough to cover the paint. The exhibition will feature approximately 36 van Gogh paintings.